Medical marijuana is becoming legalized in many states across the country, and we predict that it will be legal in all states sooner rather than later. A study conducted on Medicare recipients had very interesting findings that some might be shocked to learn. It goes to show that more people are accepting of legal medical marijuana than you’d think. Read more about the study and its findings in the article from The Cannabist below. But the study left one big question unanswered: Since the study’s authors – the University of Georgia’s Ashley Bradford and W. David Bradford – only looked at Medicare data, they couldn’t say for sure whether the findings held for younger patients too. Specifically, anti-nausea drug prescriptions fell by 17 percent. Anti-depressant prescriptions fell 13 percent, while prescriptions for seizure and psychosis drugs fell 12 percent. In the current budgetary environment, no analysis of healthcare is complete without a discussion of costs. 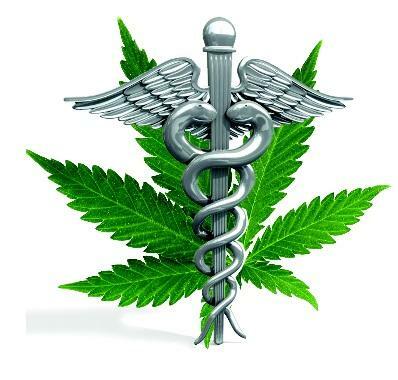 The Bradfords estimate that because of the drops in prescribing rates, a nationwide medical marijuana program would save taxpayers about $1.1 billion on Medicaid prescriptions annually. That’s on top of the the half a billion in Medicare savings the Bradfords estimated last year. Those costs don’t evaporate into thin air, of course: they would simply be shifted over to seniors and low-income people who would be purchasing medical marijuana outside of their insurance programs. There’s also the open question of how smart it is from a personal health perspective to be self-medicating with pot: “it is plausible that forgoing medications with known safety, efficacy, and dosing profiles in favor of marijuana could be harmful under some circumstances,” the Bradfords warn. Still, the Bradfords’ research makes the gulf between our current medical understanding of marijuana and federal policy around it even wider. Last summer the DEA affirmed yet again marijuana’s status in Schedule 1 of the controlled substances act, a category reserved for the most dangerous, addictive drugs that have no medical applications. “This decision was made despite the substantial and growing evidence that the requirements for Schedule I status involving ‘no currently accepted medical uses’ are no longer met by marijuana,” the Bradfords write.